The Official Gmail Blog are reporting that GMail is about to get a major face lift, that is if you want it to. They're introducing some pretty cool looking skins (30 or so of them apparently) so you can change your Gmail look to suit your needs. Apparently, you'll be able to change your themes via the Settings -> Themes tab. I've checked by Gmail account and no "Themes" tab yet, but I expect it to appear in the next few days. 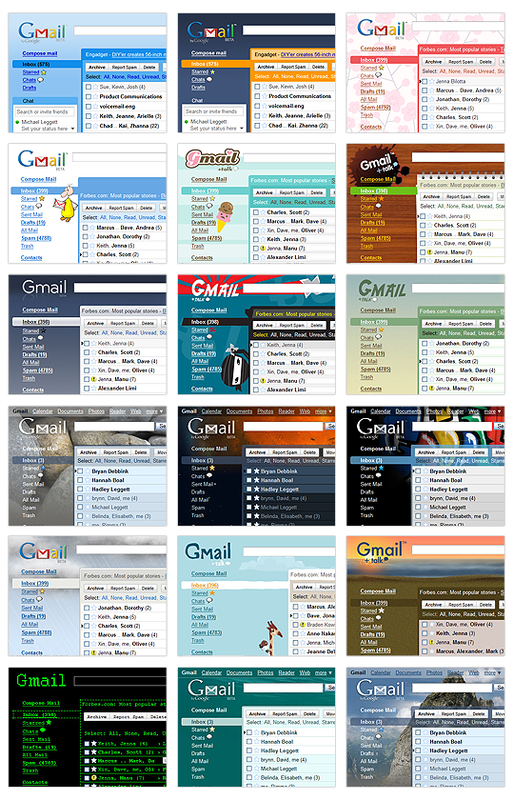 I wonder how long before Google starts offering skins for Google Reader and it's other offerings.